Great day of fun and adventure. Enjoy! Fr. Sean’s excellent and humorous homily here. 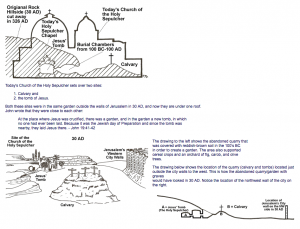 Steve Ray’s 5 minute talk on “Temple, Circumcision and Gentile Salvation” here. 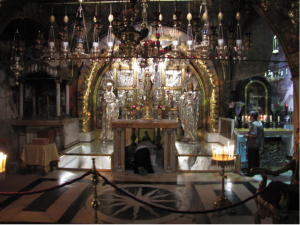 Since we are experiencing the amazing and rare Solemn Entry into the Holy Sepulchre to visit the tomb today ushered in by the Franciscans, I wanted to share these many beautiful and helpful pictures, diagrams, charts and more about the Holy Sepulchre in Jerusalem. See all this wealth of information written and visual. For me this is the most holy and important spot in the Universe. It is where Jesus Christ, God made Man, died in my place to redeem me from sin and death. Enjoy! To see a video of our previous Solemn Entry with the Franciscans see the video below. The Solemn Entry begins at 06:13 minutes into the video.